Mr. Essam fathi received his Bachelor of Law from AlShams Univeristy and has been practicing for more than twenty years in Kuwait. 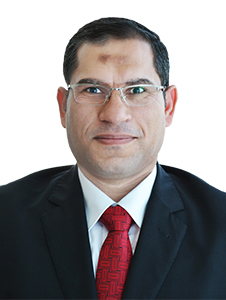 Mr. Essam is a member of the Egyptian Bar Association, Arab Lawyer Union and International Arbitration Center. He focuses his practice on Arbitration, Commercial, Corporate, Lawsuits, Contracting, Criminal, Civil, Administration and Employee entitlement. He speaks Arabic and English.